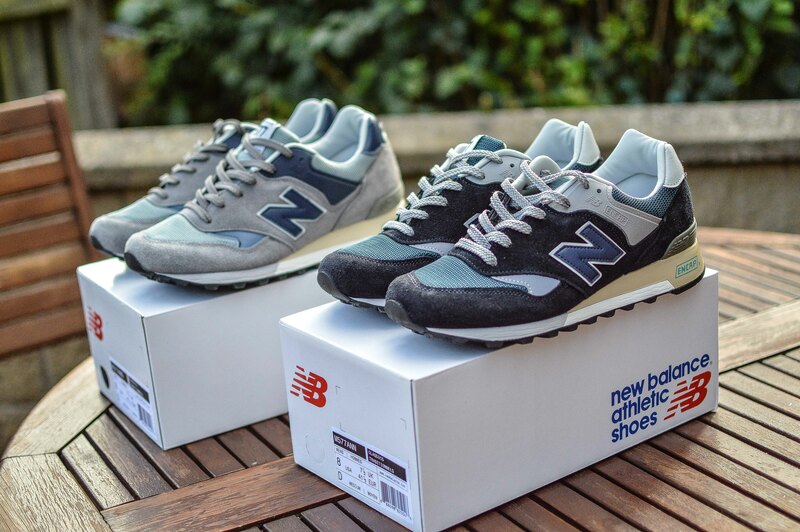 It’s been a long time coming, but I finally got my hands on both pairs of the New Balance 577, which were created for the 25th Anniversary of this model. 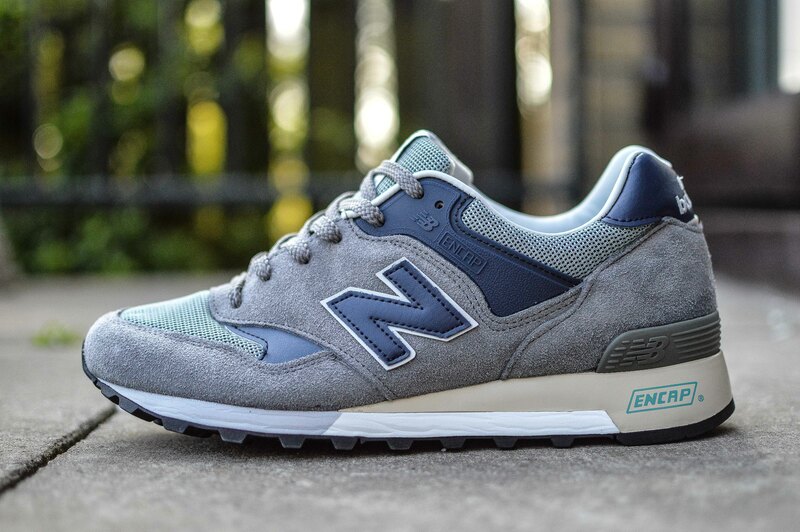 The 577 is widely regarded as one of the most treasured New Balance silhouettes, and a staple piece of the Flimby Factory in the UK, where it has been made for the last 25 years. 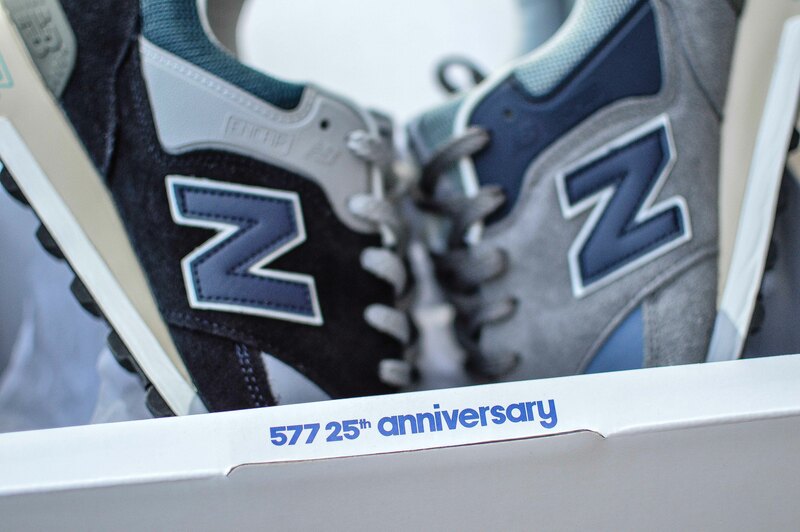 Apparently the 577 has appeared in 132 different make ups since it was first released, and this number in actual fact probably seems fair because if you even begin to name some of the collaborations, limited editions and general release colourways, then it tallies up pretty quickly. 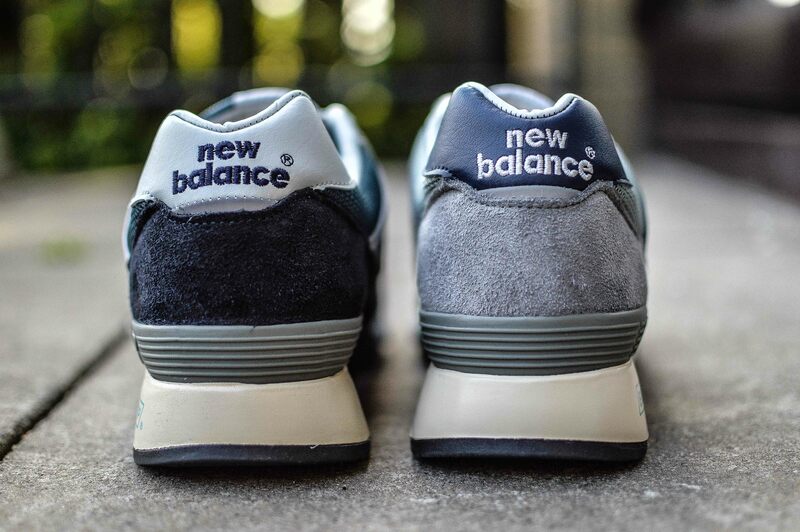 Anyway, for the 25th Anniversary, New Balance have revisited two OG colourways, in theory, they are the NG and GNA, but for the purpose of the anniversary, these specific pairs are ANN and ANG, respectively. 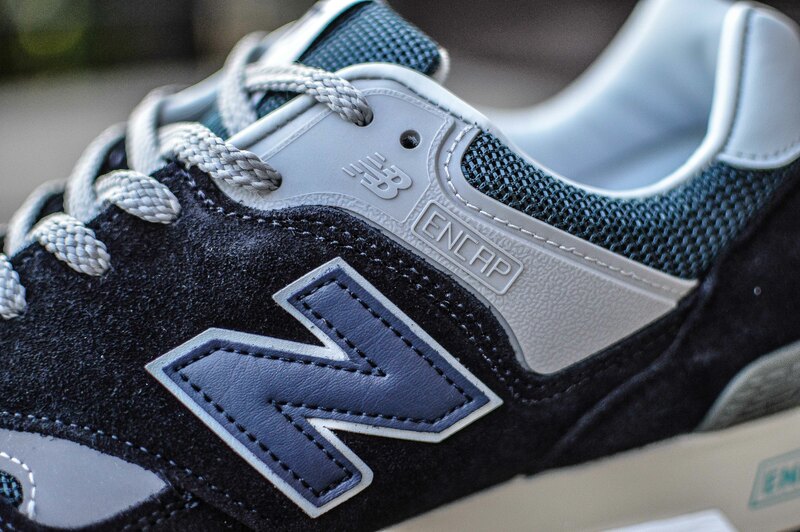 The New Balance 577ANN has a navy upper, and the 577ANG has a grey upper, both of which are made from supple suede and some shiny breathable mesh, along with a navy N, contrast 3M, and all sat on top of an Encap midsole with some vintage yellowing. 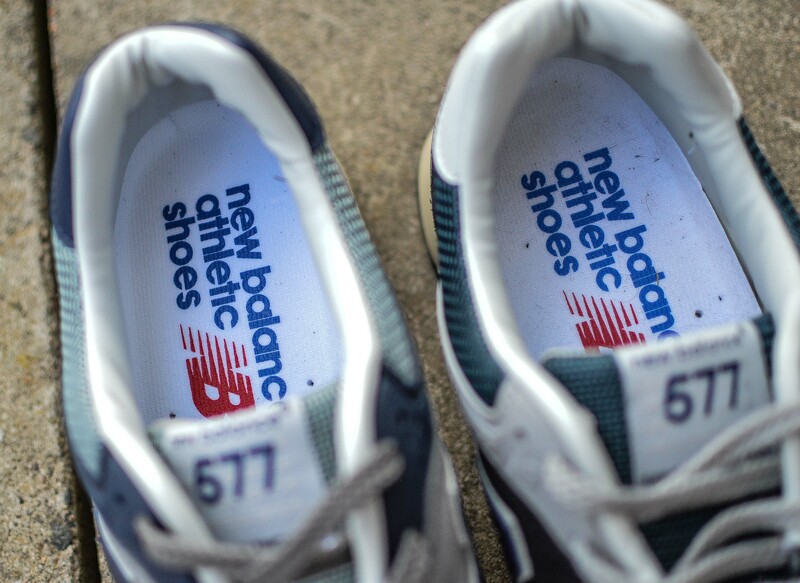 So, moving on from the first appearances to the stuff that people want to know, and some of the nice touches that you wouldn’t get on a normal pair of 577NG or GNA. 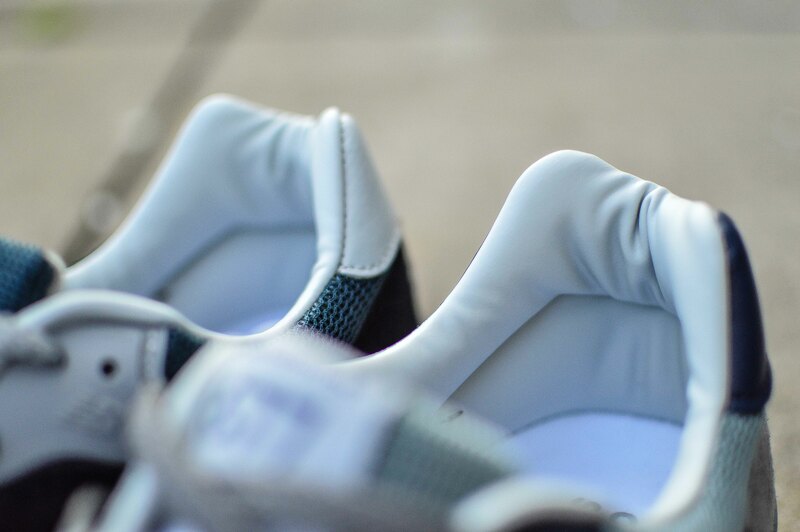 Each pair comes with a special anniversary box, which is decked out in white, along with a white dustbag, and a spare navy lace set. 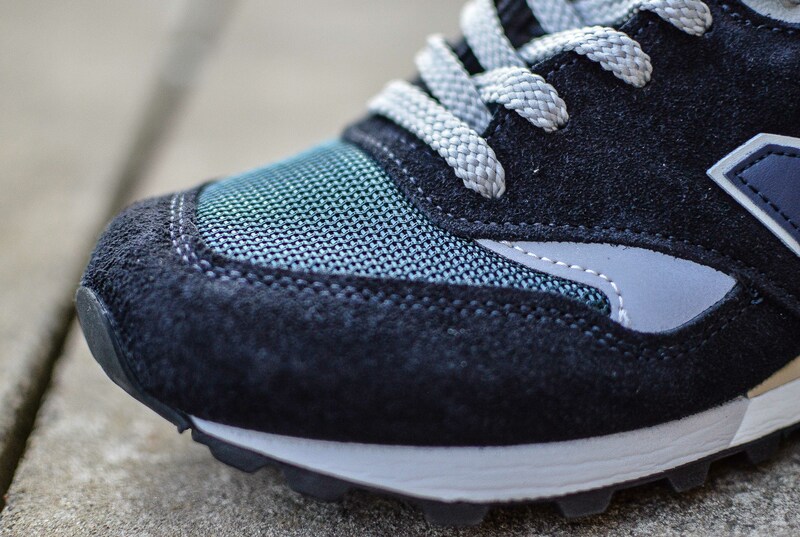 The shoe also has a plush leather lining, that we’ve come to grow fond of on the more premium pairs, and it looks and feels great on these two as well. 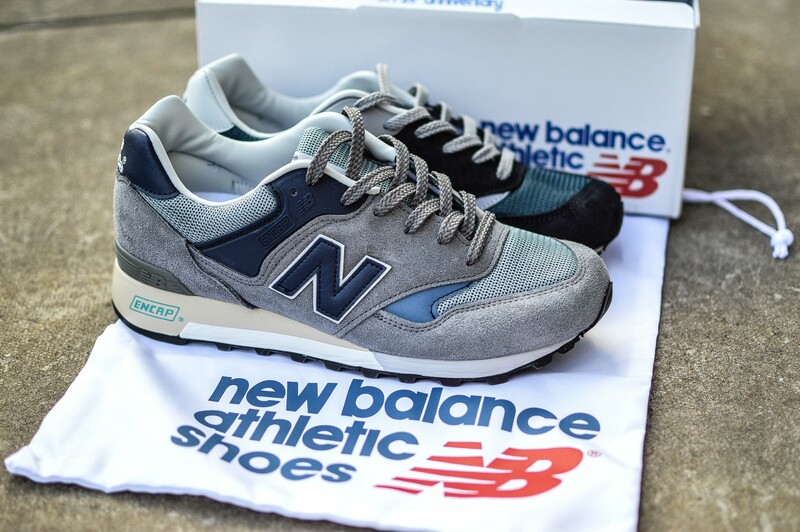 Add in the fact that New Balance, and more so Flimby seem to be heading back on track with regards to the shape of the 577, then we’re on to a winner – although, there is still room for improvement, not just on the toe box, but the panelling also. 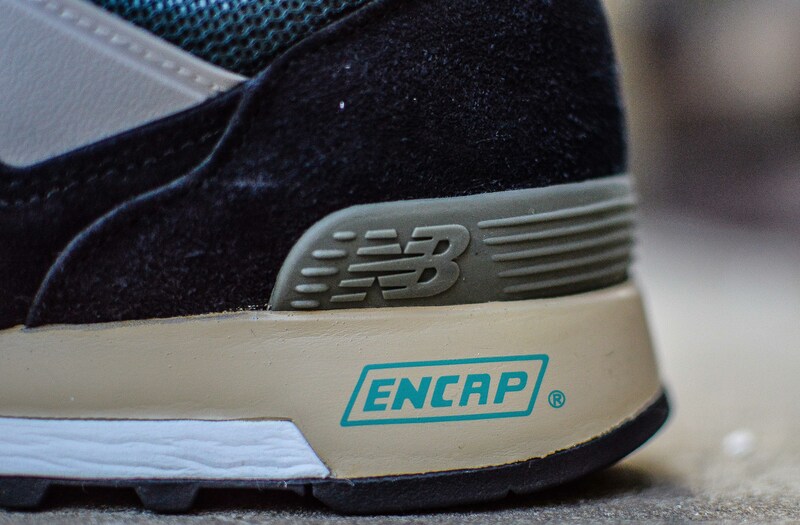 One thing that may seem a little strange to some is the Encap piece on the upper. 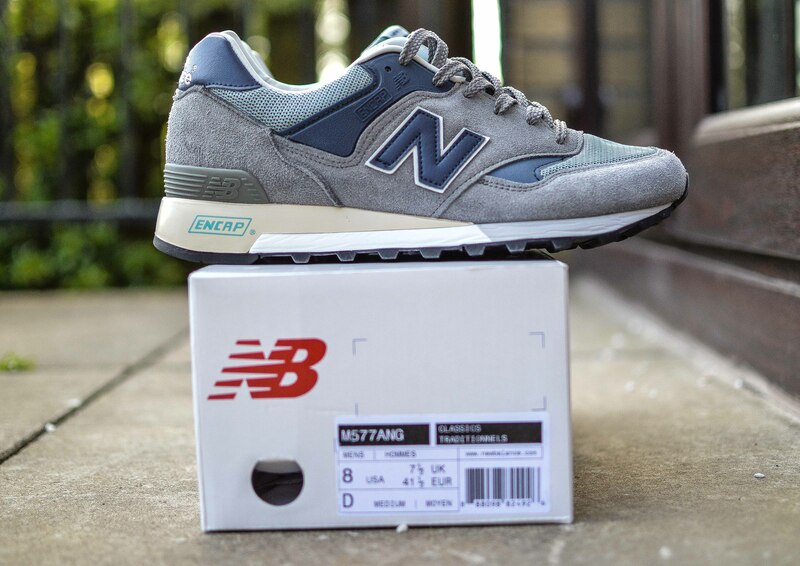 Most people probably remember seeing this feature on older US Made 577’s, but it did also feature on older UK Made pairs, however, they are much rarer to come across these days. 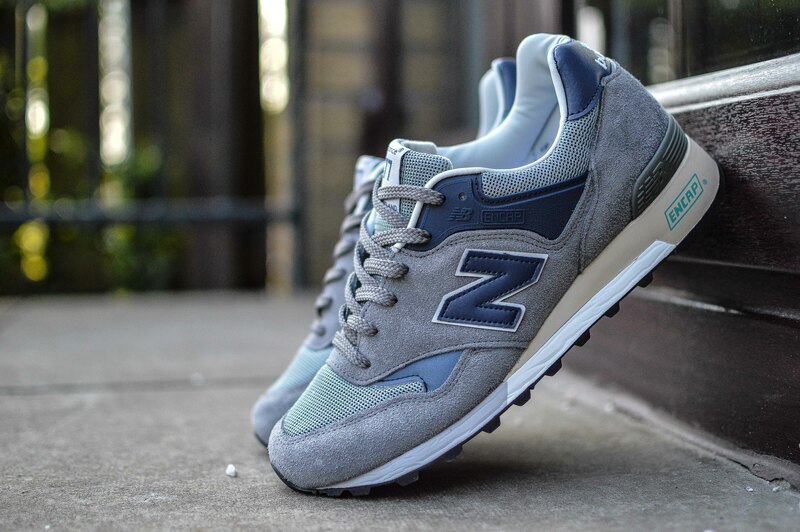 Nevertheless, it looks good! 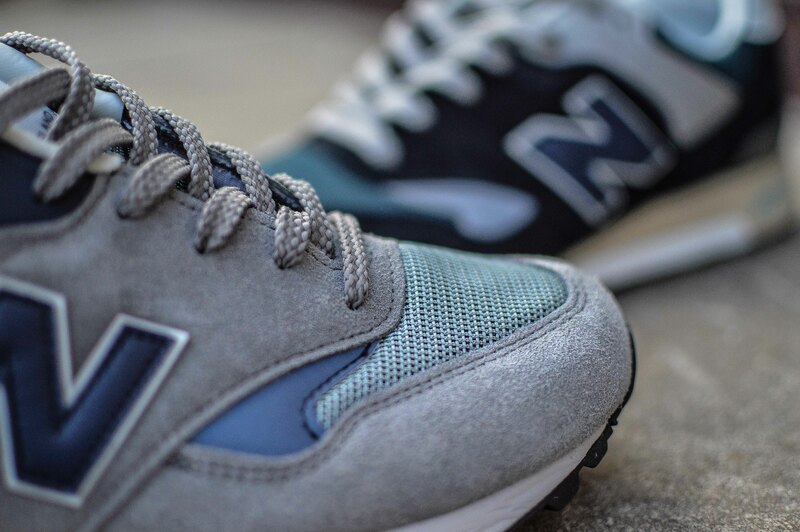 Check out some more pictures below, and I’ll update the post and/or create a new one when I get some more on-foot shots. 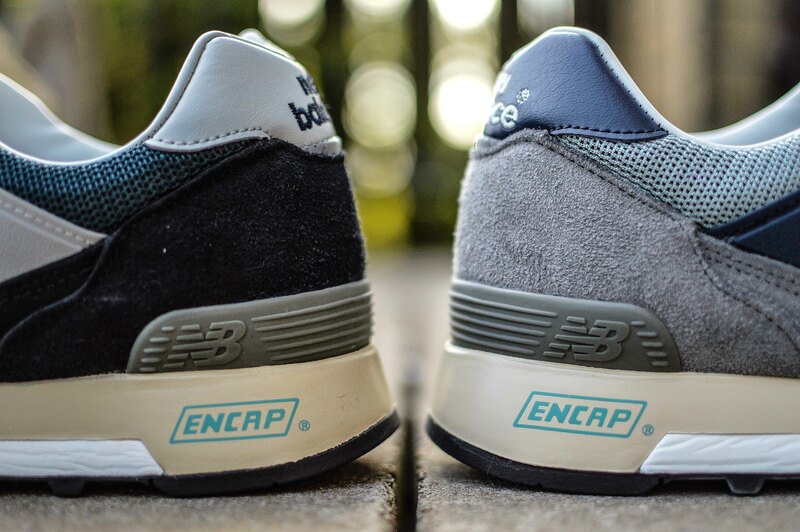 thanks so much for the in-depth review of these, they were hard to come by elsewhere on the internets! i just picked up the ANN and your blog post helped with the decision. 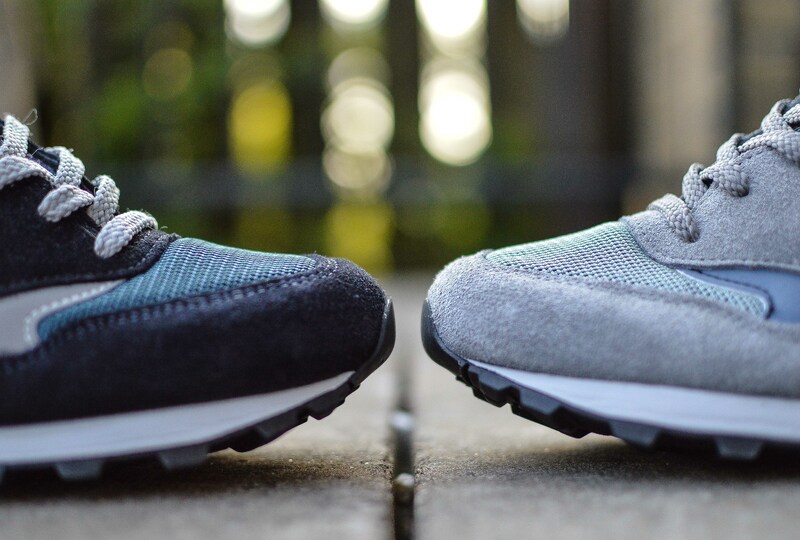 in all honesty i had a very hard time deciding between the two, i may end up picking up the other CW later on;)… cheers! 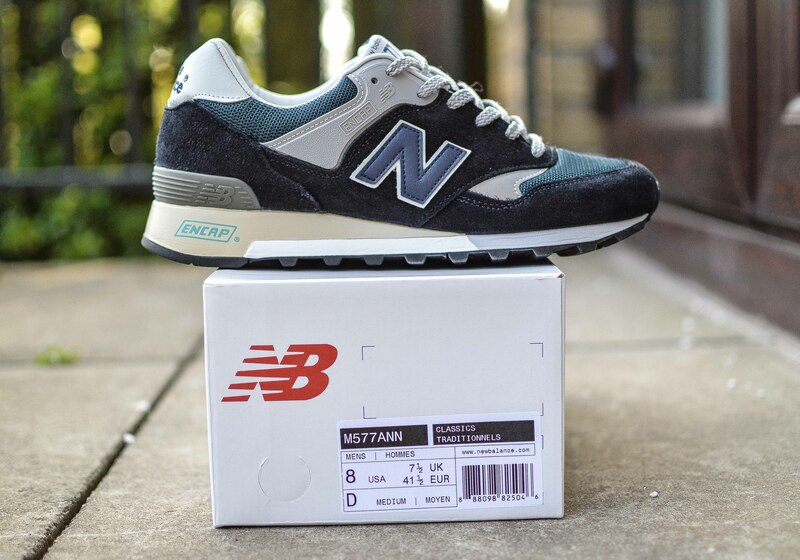 Is it safe to go half size up on these? 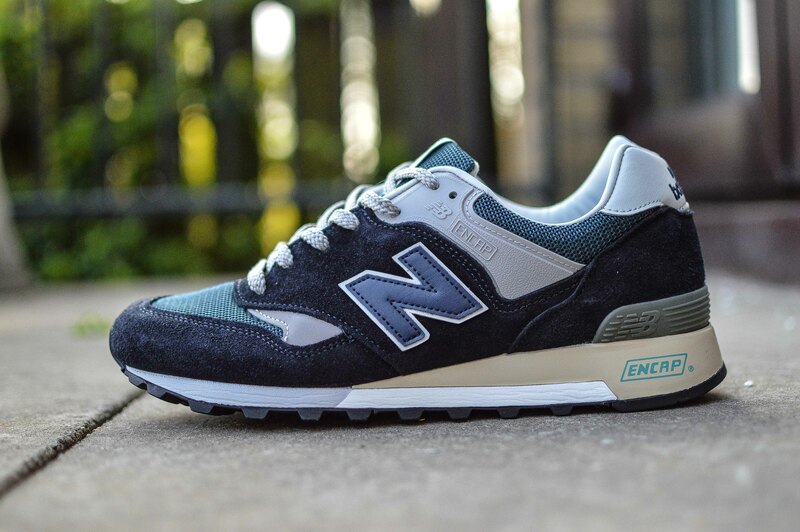 I find the 1500 made in england a bit narrow compared to made in usa models such as 574/998/1300. 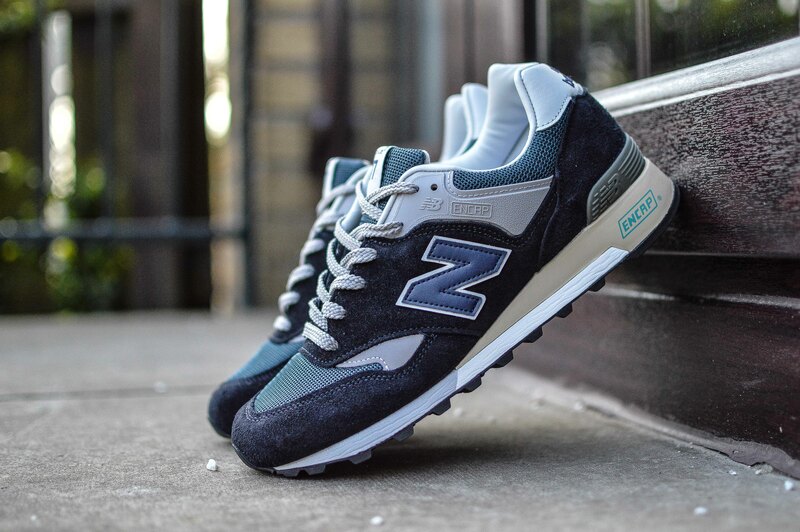 Thanks for the great review btw.